Welcome to the new Abbott Racing website. We are proud to introduce our brand new site, focused on providing a fresh and satisfying customer experience. By updating the website we hope to demonstrate our enthusiasm and passion for the work that we carry out, as well as the overall experience that we offer. As the world’s leading specialists in Saab tuning, performance servicing, MOTs and parts, we have concentrated on simplicity, taking the fuss out of the booking process from start to finish, starting right here. Alongside a fresh new look, we’ve made it easier for you to find and book the service that you need, as well as the information required to make the decision that’s best for you. It’s also even easier for you to shop for the part that you need, meaning you are only ever a few steps away from getting back on the road. With a comprehensive selection of genuine, quality Saab parts, you can piece things back together at the click of a button. Whether you’re just starting out on your journey and looking for expert advice, or you’re ready to make a purchase to improve your vehicle’s performance, rest assured that it is now even simpler to find what you need. 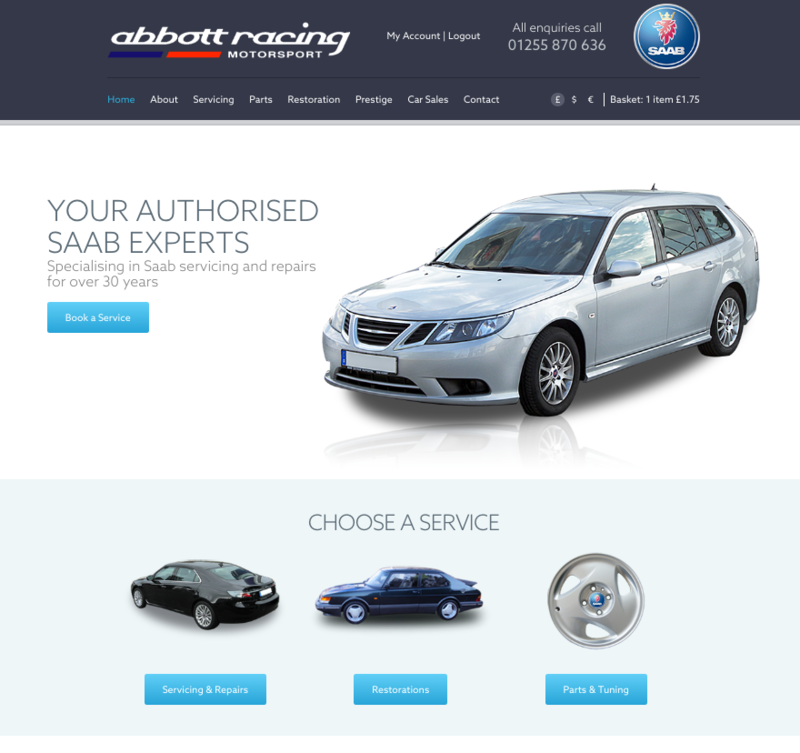 We at Abbott Racing have over 30 years of experience working with Saab, providing exceptional quality results and putting our expert knowledge to use to give you the ultimate experience in every circumstance. We are incredibly proud of the service that we offer, and have showcased some of our glowing testimonials across the new site so that you can get a feel for what to expect from us. This is a period of growth for Abbott Racing, and we hope you’ll join us for the ride. Feel free to take a look around, ask any questions and let us know what you think!